Springvale, Melbourne, Australia. November 25th, 2014. 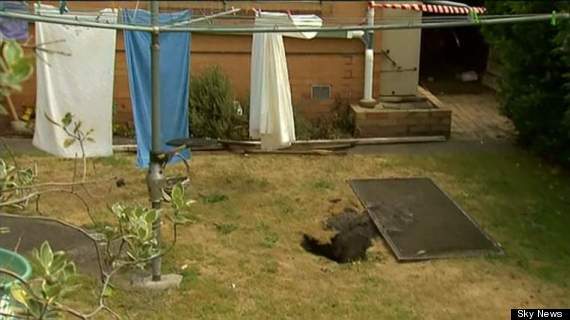 The sinkhole opened at the feet of a woman hanging out her washing in her Melbourne back yard. The woman, named by Perth Now as Mary, aged 53, fell three metres into the hole where she remained trapped for at least 20 minutes before neighbours heard her screams. Emergency services raced to the scene to rescue her amid fears the hole could collapse on top of her, Sky News writes. Remarkably Mary escaped without injury. One paramedic told ABC: “The woman told us she was hanging washing out in the backyard at about 11.30am when the ground gave way. 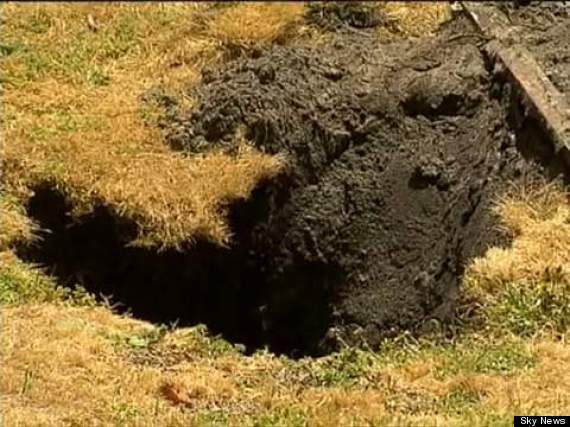 News.com.au reports the authorities now believe the hole was on the site of an old well. A spokesman told the channel the sinkhole was believed to be an “isolated incident” and that the disused well had not been backfilled properly. This entry was posted in Pictures and tagged Australia, Melbourne, sinkhole. Bookmark the permalink.